Formerly the cataloging librarian at the Fashion Institute of Design & Merchandising, Rachel Ivy Clarke is currently an assistant professor at Syracuse University's School of Information Studies. Her research focuses on the application of design methodologies and epistemologies to librarianship to facilitate the systematic, purposeful design of library services. 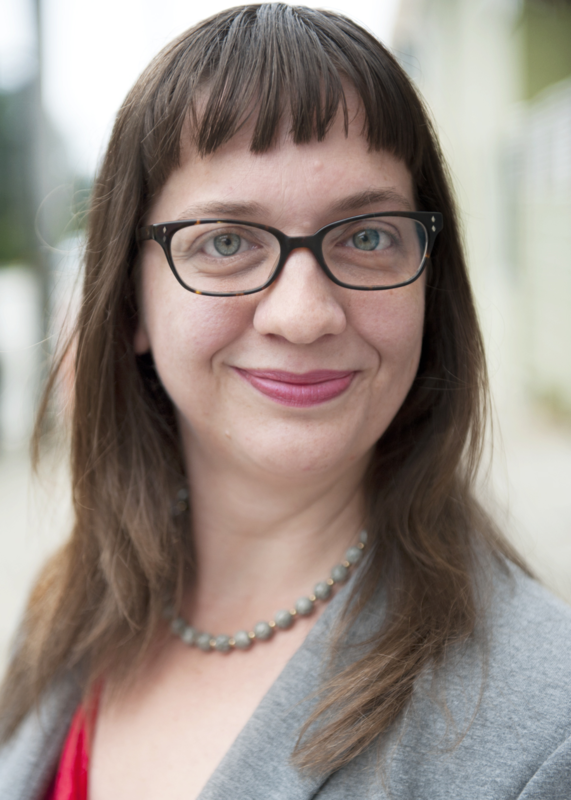 She holds a BA in creative writing from California State University Long Beach, an MLIS from San Jose State University, and a PhD from the University of Washington Information School. My research focuses on the application of design methodologies and epistemologies to librarianship to facilitate the systematic, purposeful design of library services. Like my research, my approach to teaching is rooted in design concepts like participatory hands-on making, connecting abstract concepts with concrete skills, and reflective iteration to support ongoing improvement. More . . . I use abrupt juxtapositions to provoke viewers and users into seeing a new and alternative perspectives, blurring the line between art and craft, old and new, science and emotion, and the individual and the community. More . . .